Many of today’s texts explore how we find (and fail to find) meaning or happiness in life. Adults can explore greed (gospel) as a dead end on the road as we seek the fullness and meaning in life for which the Preacher in Ecclesiastes longed. Having “stuff” does not give life meaning. Recognizing this is a stretch for children. But if they realize at an early age the limits of “stuff,” they are less likely to find themselves as cynical as the Preacher about that fact later in life. One way to explore all this in congregational worship is to focus on the gospel story with the children as a piece of the larger look at the Preacher’s message which will be more fully grasped by the adults. G “I’m punishing you because I love you” could be the sermon title for the day. Just remember that it makes more sense to parents than to children who have trouble believing parents who say this while punishing them. Also, remember that some children have unloving parents or violently punitive parents. G The child is the bad guy here. It might be wise to point out to children that just as all children are sometimes loving and kind and other times naughty, stories about children in the Bible sometimes show us children being loving and other times show us children who are not loving. The children described by the prophet Hosea today are very rebellious. G Before reading this text tell worshipers that they need to know a secret and a story to understand what you are about to read. It might go something like this. We are about to read some very famous words from the Bible. In them God is compared to a parent punishing a much loved, but very rebellious child. You need to know one secret and hear one story before these words make sense. The SECRET is that the child who is about to be punished isn’t just one person nor is the child young. The child is all God’s people – and they had been really, really rebellious. God is about to let them be conquered and taken prisoners to Assyria. It is sort of like God was giving all the people a big “time out.” That’s the secret is “child” is really all God’s people. Now the STORY – the story is that when God’s people were slaves in Egypt hundreds of years before this, God had freed them and led them through the wilderness to a new Promised Land. While they were in the wilderness God taught them what it meant to be God’s people. God gave them the 10 Commandments and taught them how to live together and how to love God. It was kind of like teaching a baby to walk. Unfortunately, when they got to the Promised Land the people forgot what God had taught them. They lied. They cheated. They stole from each other. They even worshipped other gods. God loved them too much to let it go on. What I am about to read is God telling the people what is going to happen. So, listen for words about a loving parent and a rebellious child and for words about Egypt and Assyria. Psalm 107 is a road song. Pilgrims climbing the steep, hot road up to Jerusalem to worship at the Temple, would recite it as they walked in groups, rather like some of the songs families sing in cars as they travel today (think “Banana-nana-bo bana”). It has a clear pattern of verses describing the trouble some people faced and were saved from by God and a chorus calling on them to “thank the Lord” for their deliverance. Today’s “verse” describes the problems that befall those who wander in the wilderness – like the people Moses led through the wilderness to the Promised Land. Turn it into a responsive congregational reading. Before reading it, tell worshipers to imagine themselves in a crowd singing on the hot, steep road to Jerusalem. For maximum effect have the whole congregation stand and walk in place as they read the psalm together. F To take this even further make up new verses about people getting in trouble and being rescued today. Even challenge worshipers of all ages to make up their own verses celebrating God’s loving care in the tough times. F This psalm is probably in the lectionary today to reflect God’s care in the wilderness, but it could be paired with the parable and teachings about prayer in last Sunday’s gospel reading to celebrate God’s response to prayer. The road trip song format provides an opportunity to explore a prayer concern shared by both children and adults. G The writer of these texts is an older person with lots of life experience to ponder. Because they lack this depth of experience children have trouble understanding writers’ deep and honest cynicism. G If you do work with the Ecclesiastes text in worship, checking out several translations of the word vanity will be essential. To children and youth, vanity means “I think I am really cool, pretty, smart, …” Translations that say that all is pointless, meaningless, useless rather than vanity help younger listeners get the writer’s point. 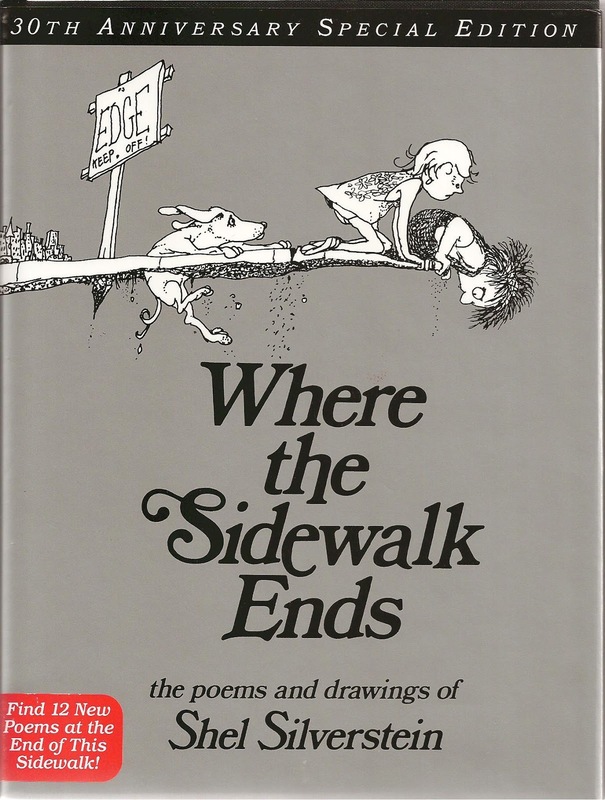 G Hhmm… in finding “Lester” for the gospel reading about greed, I read a number of other poems in Shel Silverstien’s Where the Sidewalk Ends and found almost every one of them to be a delightful antithesis to the Ecclesiastes point of view. Children will not get that, but I mention it for it might be worth with the adults. F With children, start with “greed (which is idolatry)” and jump directly to the gospel parable. The images of death in and being hidden in Christ baffle children. Since the lists of sins are fairly general and abstract, I’d not expect children to respond much to them. F If it is Back to School Sunday in your congregation, pick up on the rules Paul urges the Colossians to keep every day. Children who are very alert at this point to the rules for their new classes, teams, and clubs, are ready to be challenged to live by God’s rules wherever they are. Though Paul does not refer to the Ten Commandments as a group, he refers to a number of them. Follow his lead by working through the commandments putting them into words that especially apply to school. You might even make your version into a bookmark to laminate and give to each child. Below is my stab at this – and yes, I know some of them are limited expressions, but maybe appropriate for children as school begins. God is God – even at school! F I know Presbyterians include among the questions asked at baptism, confirmation and ordination “Will you turn from evil and turn toward Jesus?” Other Christians may also ask this question in some form. If you do, use this text as an opportunity to explore what we mean when we answer that question with a “yes.” Begin by pointing out the question in one of the rituals. Together make a list of “evil” that we could turn from today. (The list will be a more specific version of Paul’s – maybe name calling, stealing, cheating, hating, bullying, being greedy, etc.) Then ponder what it would mean to turn away from several of these activities and toward Jesus. Point out that when we answer these questions in this ritual we are promising God to live that way every day. Finally, pray for help when we try to turn from evil and toward Jesus. G Be brave. Totally cover the Table and the usual symbols displayed on it with all sorts of stuff – clothes, hats, electronics, sports equipment, books, video/CD, board games, fast food containers and fancy cooking equipment, and whatever else are “hot items” in your congregation this summer. Be sure to include things that appeal to worshipers of all different ages. At some point in the service, remove the items one at the time discussing ways we get too attached to them. Leave a clear Table dominated by the appropriate symbols. Savor it publicly noting that everyone probably feels a little relieved to have it cleared of the stuff that got in the way of the symbols we love. This could be done as a call to worship (a call to clear away all the stuff to focus on what is really important), the lead up to prayers of confession about our misuse of our stuff, a children’s time, part of the real sermon, even as a response to the scripture and sermon. G Identify and discuss “gotta haves.” Name several things that at different times in your life were “gotta haves” for you – a certain kind of bike or electronics or clothes. Identify reasons for wanting those things – everyone else had one, they looked really cool, you just knew they would make you special, etc. Tell about some things that turned out to be as great as you thought they would be AND some that were really disappointing. Challenge worshipers to identify what they wanted for Christmas last year or what they wanted most on their last birthday. Consider whether the ones they got turned out to be as satisfying as they expected them to be. Conclude with comments about the inability of stuff to make much difference in our lives. 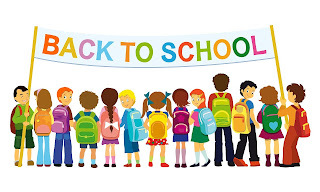 G If it is back to School shopping season in your congregation, talk about what is needed and what is wanted for going back to school. Together sort through which are necessities and which are greedy wants. Pray for wisdom while shopping for back to school clothes and supplies. 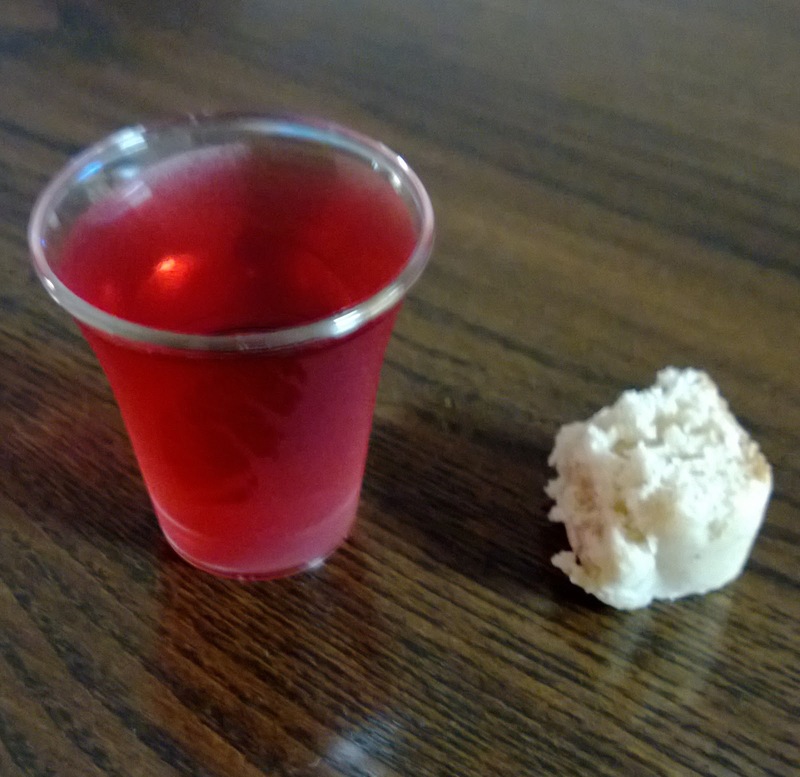 G Behind this parable is the question, “how much is enough?” One way to explore just a part of this is to ponder the size of the servings at communion. Children often have trouble connecting all the language about feasting with the tiny piece of bread and sip from the cup. Those bits don’t even rate as a snack, much less a feast. So, at some point present what is offered and admit that it is not very much. Then recite and laugh about some of the feast language in the ritual words. Finally, ponder the fact that it really is enough to do what it is meant to do. Just a taste of bread and a sip from the cup remind us of God’s enormous love and our place among God’s people. Insist that sometimes just a little is not only enough, but a feast. Wish aloud that the barn builder in the parable had known that. 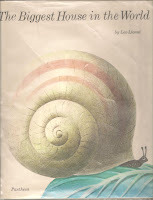 G Children’s books about greed include the following. If you have other favorites, add them in comments. The Biggest House in the World, by Leo Lionni, tells the story of a snail who kept growing a bigger and fancier shell house until the shell became so heavy he could not move on to find food. Like today’s scripture it is a story within a story. The whole book can be read in about 4 minutes. 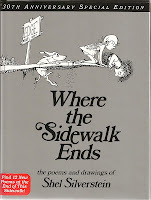 But it would also be possible to read only the story within the larger story and thus pare back reading time. 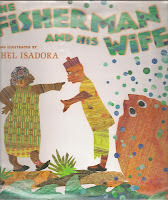 The Fisherman and His Wife, a Grimm Fable retold by Rachel Isadora and illustrated with colorful African prints, tells of a fisherman who saved a magic flounder. His wife demanded an ever escalating number of wishes starting with ever larger homes then powerful titles. The flounder granted each one. At the end of the book she demands that she be God. 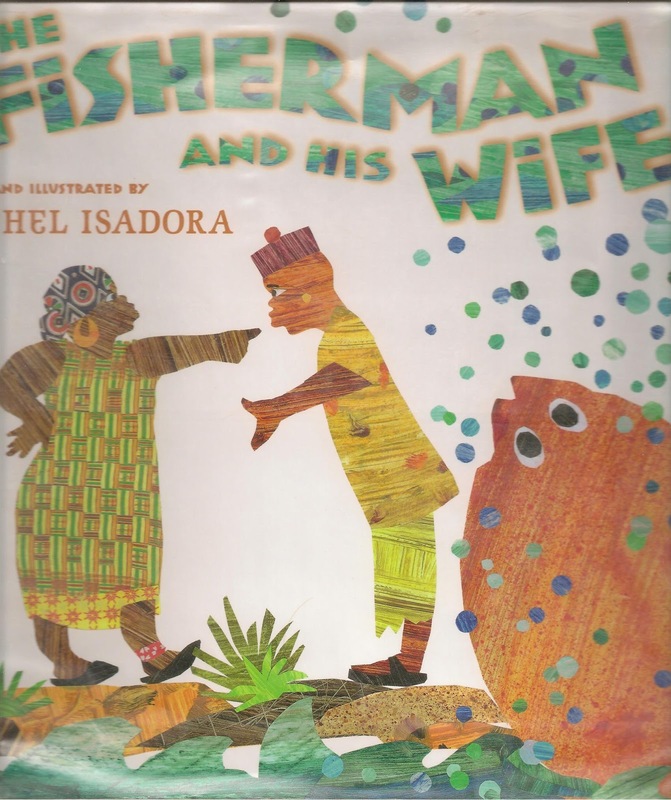 The flounder complies and the fisherman finds her in their old stinky pigsty. Reads aloud in 6 minutes. The Greatest Treasure, by Demi. Once there was a rich man named Pang and a poor man named Li. Li, his wife and 5 daughters were happy. Li often played the flute for them. Pang spent all his time counting his money. He, his wife and 5 sons were unhappy. To keep Li quiet so he could count his money Pang gave Li a large bag of coins so his worry over the coins would keep him quiet. It did. Li began worrying about so much there was no time to play and dance with his family. Finally he remembered that happiness is more important that coins. He returned to sack of coins thanking Pang but telling him they almost robbed him of his greatest treasure, his happiness. He also gave Pang part of his treasure – a flute each for Pang, his wife, and children. At first Pang was stunned. When his wife and children began playing their flutes, he finally joined them. 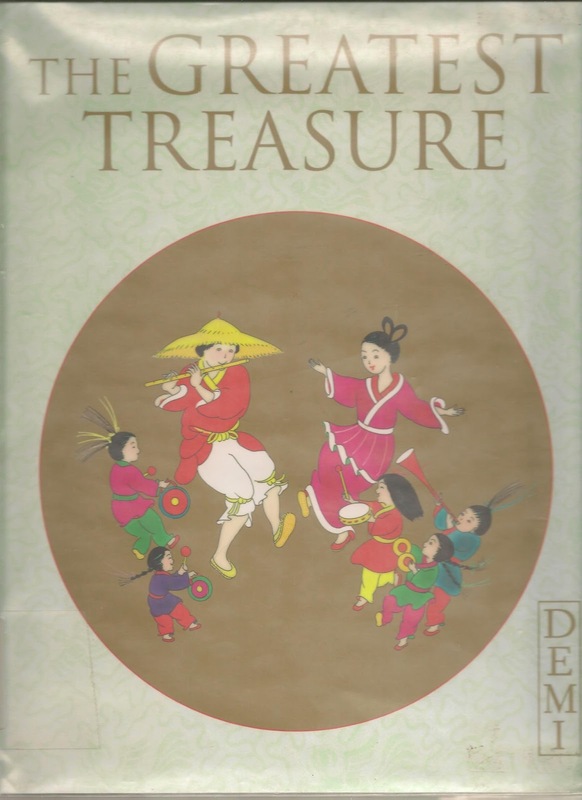 This picture book reads aloud in 6-7 minutes and probably goes better with next week gospel about treasures, but could also be read today. WARNING: Many of the ideas and resources for exploring greed today might also be used with next week’s gospel about treasures. So, think ahead a little. 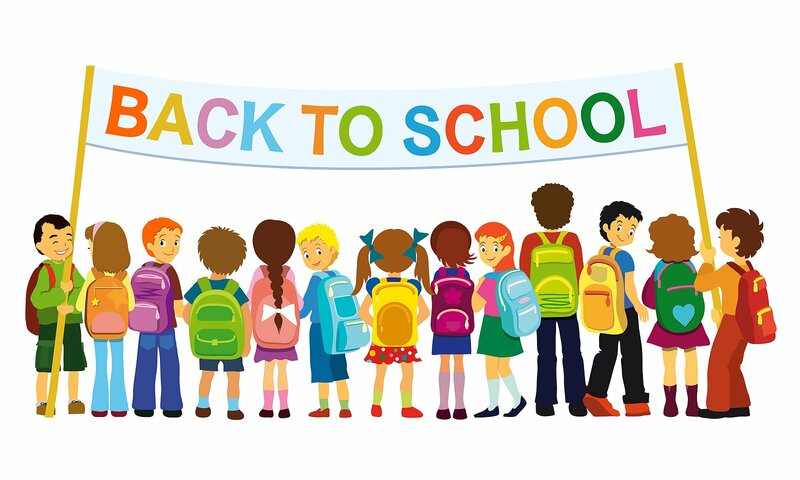 This is the first of weekly reminders during August to be aware of when your children go back to school. That is a HUGE event in the lives of children every year. Congregations that find ways to recognize and bless it in the congregation’s worship tell children and their families that they are an important part of the congregation. Go to Back to School -2013 for more general ideas to add to those connected to today’s texts. another good Greed story-- Dr. Seuss's Yertle the Turtle, who wants to be king of more and more and more! Your suggestion is great for today. But it arrived while I was working on texts about status and pride in Proper 17 and it fits there too. All sorts of turtle possibilities! Thanks Carolyn - great help as I am preparing my Sunday school lesson for tomorrow. Well done! I am preparing a Children's Service for the 22nd of September. Themes of September - Creation. The New Testament reading from the Lectionary is Luke 16:1-13 [The Parable of the Screwd Manager]I have chosen the theme 'Care for God's Creation'. Does my theme go together with the Screwd (Dishonest) Manager? Your advice would be much appreciated. Thank you and God Bless! Luzzy Willie, I really am not sure exactly what you are asking and where you are getting the "screwd" manager. Since it is both versions of the messages you sent, I assume it is not a typo, but don't know what to make of it. Maybe it will make more sense when I dig into the texts in a couple of weeks. You are working way ahead of me :). Thank you very much for your suggestion above to "be brave" and cover the altar with "stuff." I did this for the sermon for everyone (adults and children). I talked about the parable and how it wasn't the abundant harvest that was the problem, it was the rich man's attitude towards it. I talked about how our things aren't "bad" but sometimes they can get in the way of our relationship with God and how the other readings emphasized the importance of relationship. I did something different and preached the sermon at the very beginning of the service so that we could clear all those things that were distracting our vision and getting in the way of our focus of God before we started our worship. Thank you again for this marvelous resource. Your work is a blessing to everyone who preaches and plans worship. Wow! What a cool idea to move the whole sermon to the front of the service this week. I'll bet worshipers of all ages participated in the liturgy more deeply after the in-your-face sermon. Thanks for sharing!